We are just over the halfway point in our jobs at Amazon. Which means Thanksgiving and Christmas are just around the corner! After several weeks of picking Halloween costumes and decorations, the merchandise has switched to all things turkey related. Tablecloths, roasting pans, turkey injectors and basting brushes seem to be the popular seasonal items now. I like it when the holidays follow the calendar. Of course, we are still picking the usual items. IPhone 6 accessories have been very popular, more so than any other brand of cell phone combined. The ‘Call of Duty’ video game was released this week, and we picked hundreds of those. Disney ‘Frozen’ toys are very popular, and the Teenage Mutant Ninja Turtle and Monster dolls continue to be very popular as well. Overtime has already started for the Inbound shifts (receiving and stowing). 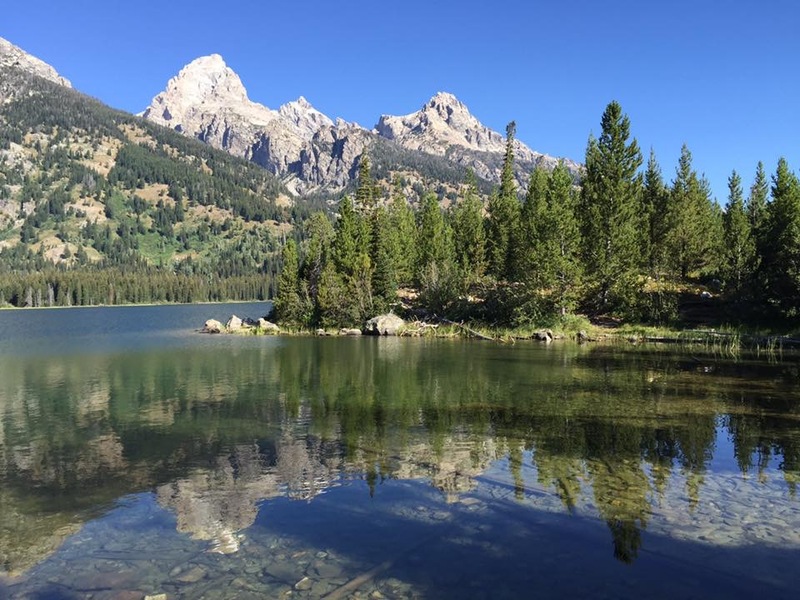 For workcampers, it is mandatory to do 50 hours, and voluntary if you want the 60 hours. Outbound (picking and packing) is not expected to see any overtime until after Thanksgiving. This is how the schedule went last year as well. A few new folks in picking were a little concerned about not getting any overtime, but once they understood we cannot pick what is not on the shelves, they seemed to understand. 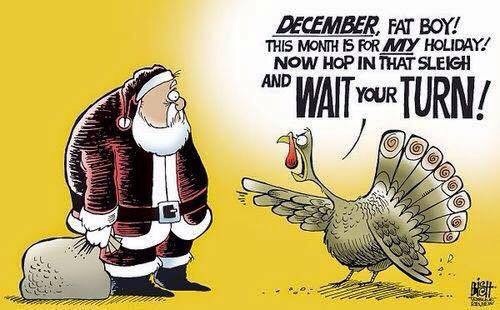 And most people wait until December to start their shopping. That’s when we will be doing the 60 hours (my mind is willing, but my body is still cringing!!). By Tuesday night (which is our ‘Friday’), we are pretty tired and usually fall asleep watching television around 8pm! Yes, this RV life can be very glamorous! The 12th and final group of workcampers will be starting November 11th. They have also started hiring the seasonal temporary employees as well. They offer both full-time and weekends only shifts. We will see a lot of the temp workers in the picking department. At the end of each shift, we do have to pass through metal detectors. It usually takes a couple of minutes to get through, but the lines will start to get a lot longer now. Amazon does provide anyone that wants a clear plastic fanny pack or purse, which does make it easier to go through the lines. Makena’s dog food was starting to get precariously low, so we started looking online for retailers that sell her Innova brand of dog food. The closest store was 44 miles away (one way). Amazon is pretty pricey for dog and cat food (although they sell a lot of it), so we decided to try out Chewy.com. We have no affiliation with the website, so if you click on the link, we don’t get any money or anything. But we are posting this because of our very positive experience with them. 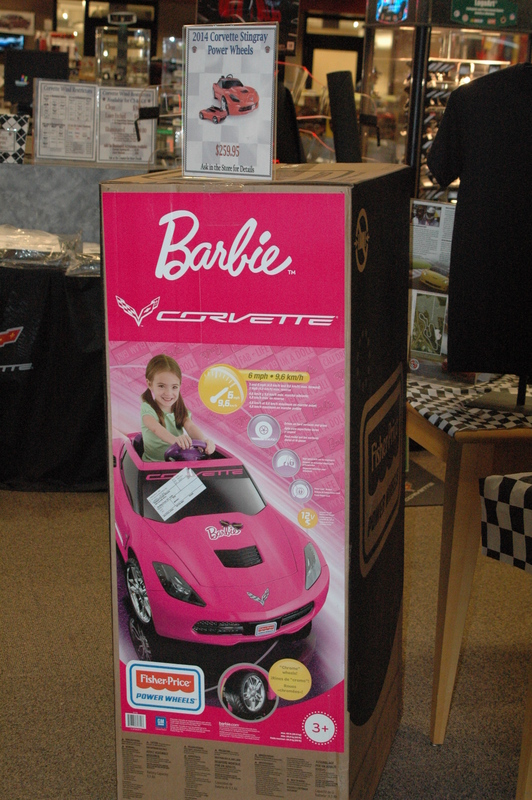 Not only did they have very competitive prices, but free shipping on orders over $49.00. We placed an order on Wednesday, and about 2 minutes after we submitted it, we received a call from a pleasant customer service rep confirming our shipping address, since our billing address is SD and our shipping address is KY. About 3 hours later we received an e-mail stating our order was processed and ready for shipping, and they provided the UPS tracking number. This morning (Friday), I was out walking Makena and saw the UPS man delivering our package to the campground office. Everything was well packed. Our package totaled 38 pounds, so we were very pleased we did not have to pay for shipping. And Makena has a few toys for Christmas (oops, I guess I am one of those that buys Christmas presents before December!!). The super fast shipping makes it great for any RV’er. Amazon – has it been 4 weeks already??!! Wow, we can’t believe we have just finished our fourth week at Amazon. What a difference a year makes! Last year, our first at Amazon, was so frustrating at the beginning. The physical part of walking all day was not so much a problem. But the confusion of learning where everything was in the building, as well as the mind-numbing tedious nature to our jobs made for a difficult first month. This year was truly a ‘piece of cake’! The two hardest parts of Picking is learning the buildings, as you will be all over the place, and you must do so in a very timely manner. The second part is just accepting the fact that Picking is a very, very boring job. You will spend most of the day talking to yourself, as that is who you will be working with! Breaks and lunch are the only time you really have to talk with anyone, other than a quick ‘hi’ when you are passing people in the building. You can prepare for the physical nature of the job, but the mental part was truly an adjustment. This year, knowing full well what we were getting into, made for a much easier transition. You have to give yourself 4 weeks to not only condition your body, but your mind as well. Most of the folks who quit, usually do so before their fourth week. But if you can stick it out, you will meet a lot of nice people, learn about good/bad places to work, and get in shape as well. 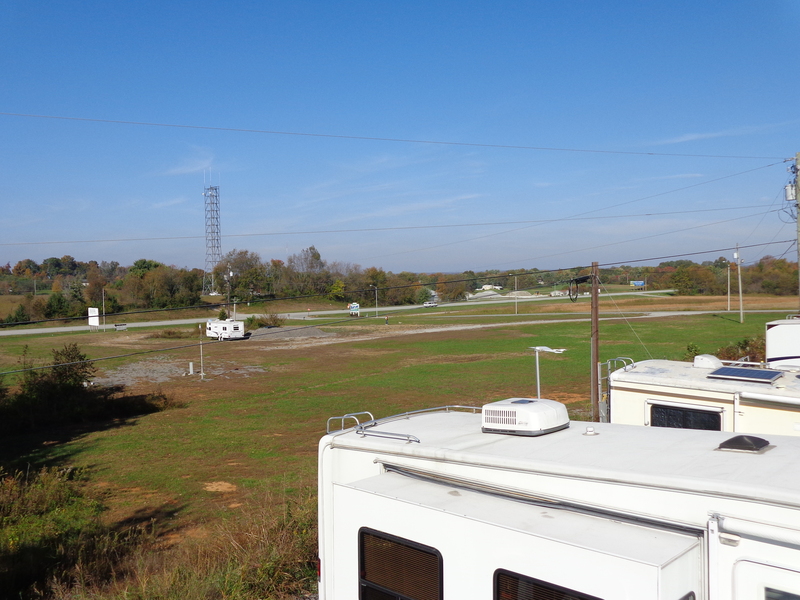 This year we decided to stay at the campground that is technically across the street from Amazon in Campbellsville, KY, Heartland Campground. 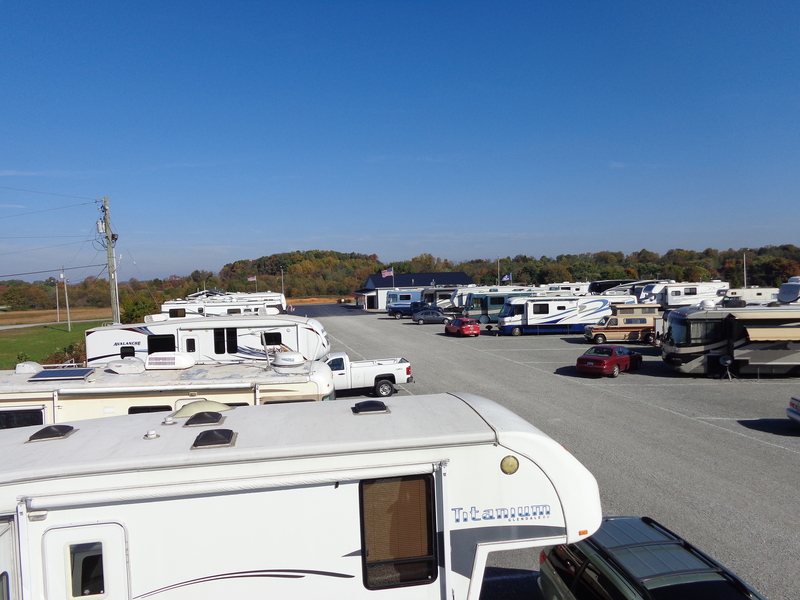 Most people here refer to it as the ‘rockpile’, as it is really nothing more than a gravel parking lot, with white paint outlining your site. But it has 50 amp, water and sewer, and Amazon pays 100% of the cost. Although the Green River State Park where we stayed last year is beautiful, we decided to save time and gas money by walking to work. The parking lot at Amazon gets very congested after Thanksgiving, and we spent a lot of time waiting in long lines. 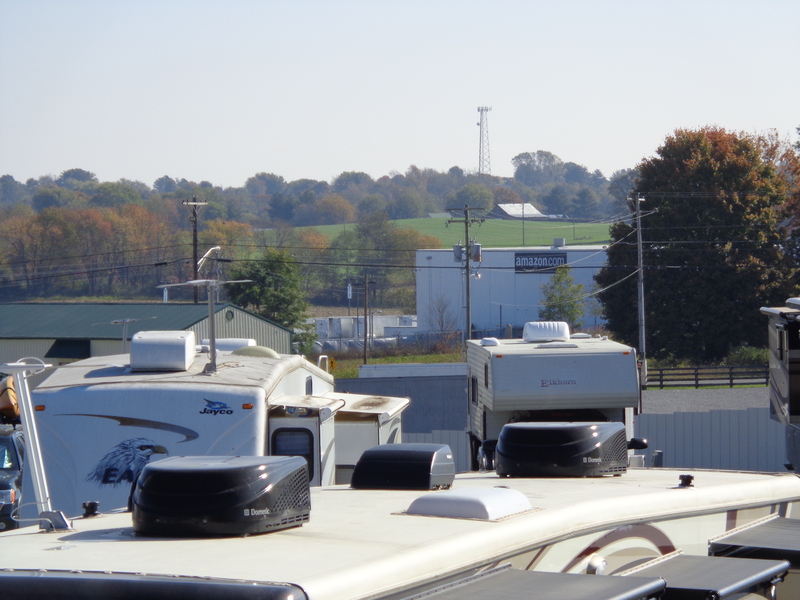 Here is a zoomed in photograph of Amazon from the roof of our fifth wheel. This week we attended the ‘all hands on deck’ meeting for the month of October. It is the last all staff meeting for the year. The first thing the general manager emphasized, was that this facility was not going to close. Last month, it was announced the center in Coffeysville, Kansas will be closing in February. (this is one of four sites they hire workcampers at). All the employees at that location can transfer to any facility of their choosing. Apparently since that announcement, the rumors were flying that this location would be next. 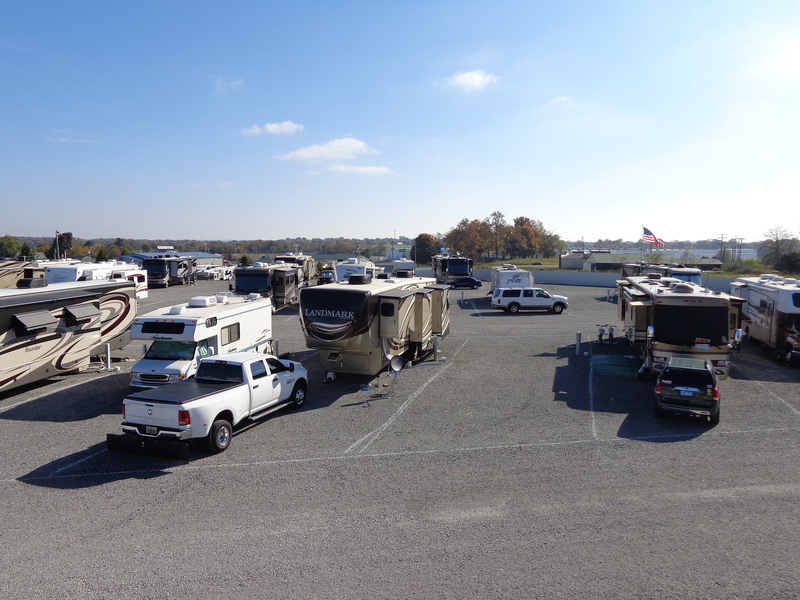 The GM emphasized they have just signed a new long-term lease here, and they were making many improvements to the facility, including the repaving of the parking lot, which has already begun. That seemed to make a lot of people happy. They also talked about the projections for peak season, as well as overtime. It looks like we will be able to get the same amount of overtime as last year, for outbound (picking and packing). Inbound (stowing and receiving), will have even more overtime opportunities. They will be hiring another 1500 people for the peak season, so the building will be getting pretty full, as it was last year. The employees celebrating their 15 years at this location were also announced to the group. The GM said this location has the most employees with the longest tenure at Amazon. In addition to receiving an additional grant of $2000.00 in stock options, they received a $100 Visa gift card, and a nice jacket. One of the gals wore an orange shirt with the words “15 years of hard time” on the back! That got a laugh out of the group. She said in 4 years she will be ‘paroled’! The GM also talked about the bonus for the regular employees for October. Apparently, every month that you have perfect attendance at Amazon, you get a 4% bonus. During the months of October thru December, it is doubled. And if the facility meets their production goal, there is a 6% bonus for the employees. The GM said they are on track to meeting the production bonus, which means the employees with perfect attendance will receive a bonus of 14% for the month, based on their base pay. That made a lot of people happy. We haven’t been doing too much on our days off. Just resting and getting caught up on some things we neglected this summer. After 6 days in a row, and about 75 miles of walking, we had a day off on Thursday. We were expecting to go back to work today (Friday) for mandatory overtime, but it was cancelled. At first we were disappointed, but we appreciated another day of rest. And we made sure it was a day of excitement, with laundry, defrosting the freezer, clipping Makena’s nails, and making a big pot of chili to go with another Columbo movie!! On Monday, we did get together with Karen and Al, whose blog I have been following for awhile now. (http://wishuponanrvstar.blogspot.com/) It has been fun getting to meet all the folks who have helped to inspire us to live our dreams. This week we did have a telephone job interview, for Crazy Horse Memorial. We did accept the jobs, and we are both looking forward to spending May thru September of 2014 in the beautiful Black Hills of South Dakota. 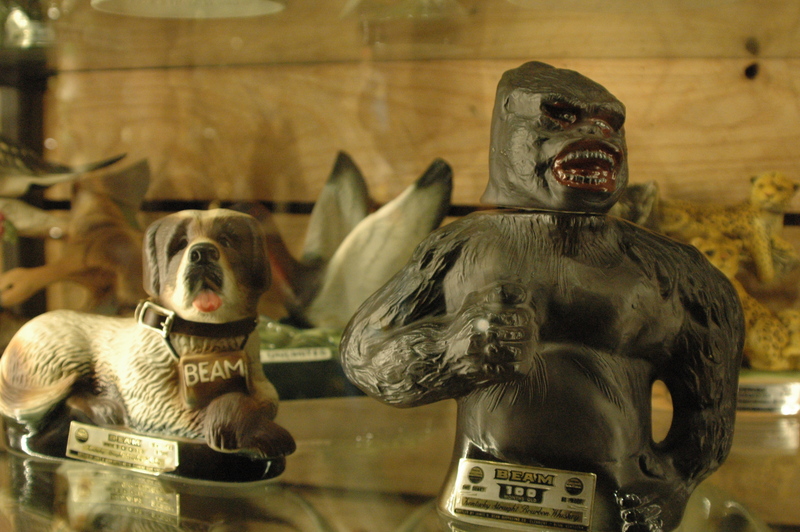 We will be working in the gift shop. You can check it out at: http://crazyhorsememorial.org So if you are out that way, please let us know so we can get together. They do have a campground right at the memorial, so we can walk or bicycle to work. There is one thing this time a year that I will miss…and no it isn’t snow and bitter cold!! 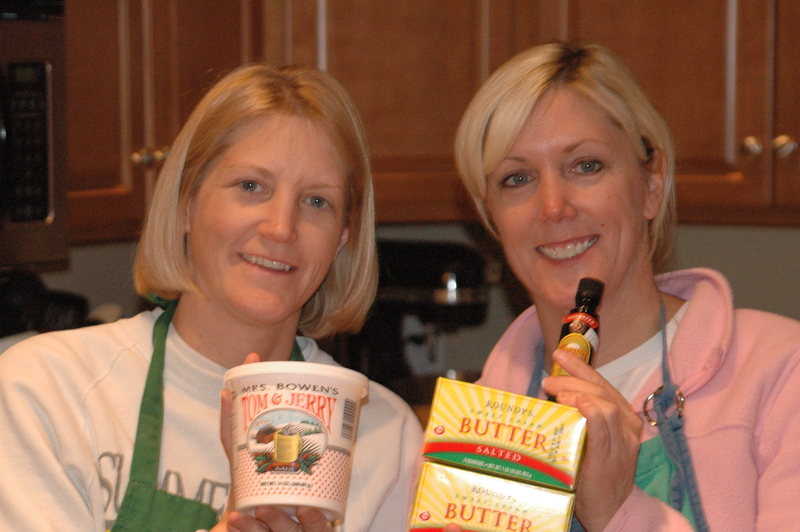 My sister Margie and I have been having a “cookie bake-a-thon” for over 25 years. 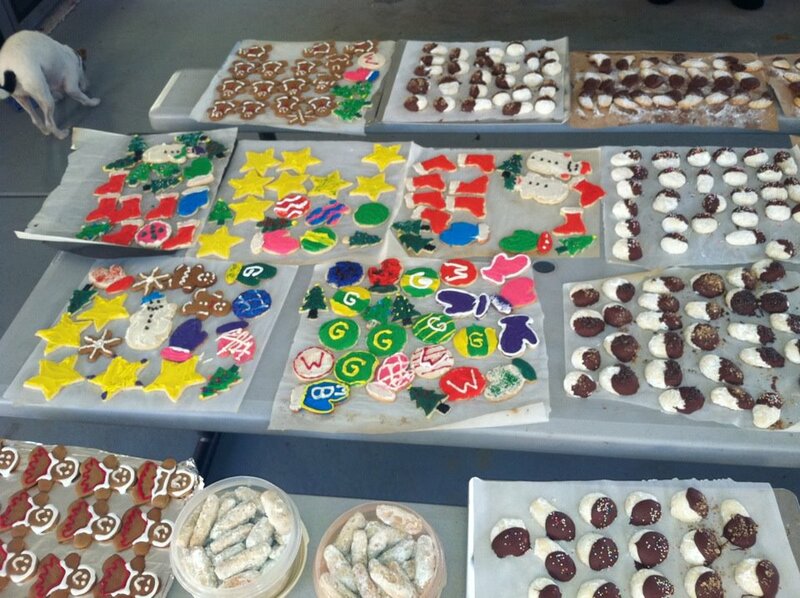 We spend 3 days doing nothing but making Christmas cookies. Day 1 is planning and mixing the dough. 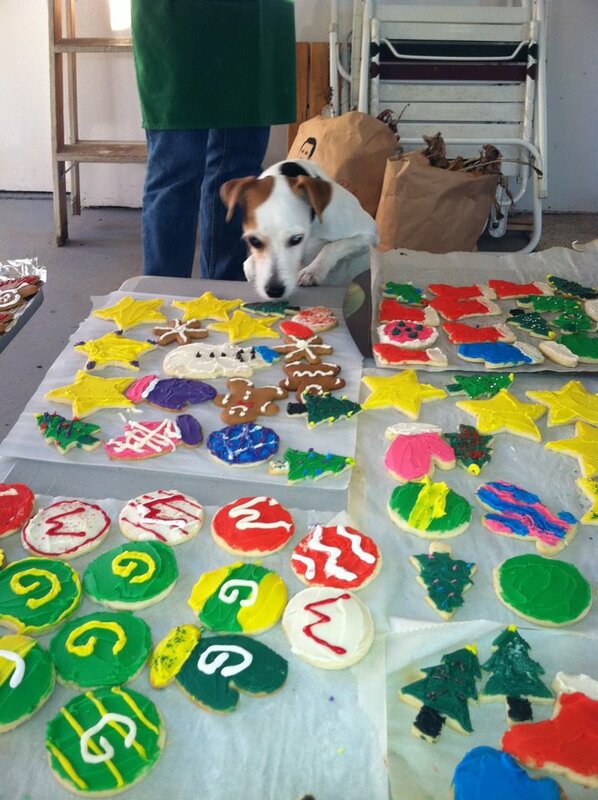 Day 2 is baking, and Day 3 is decorating/frosting and boxing up the cookies for gifts for family and friends. 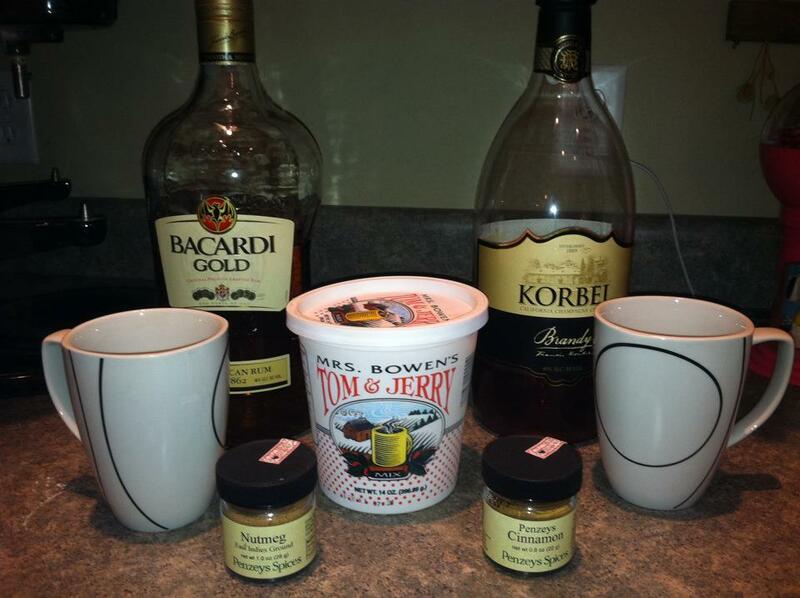 And of course at the end of each night, we would have a tasty Tom and Jerry!!! 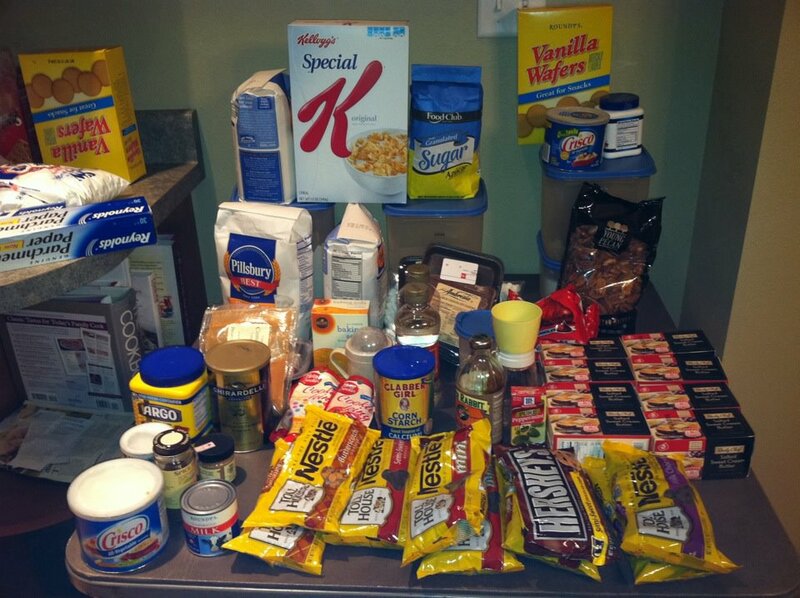 When we were at the grocery store the other day, I just felt very sad when I looked at the display of baking ingredients…. 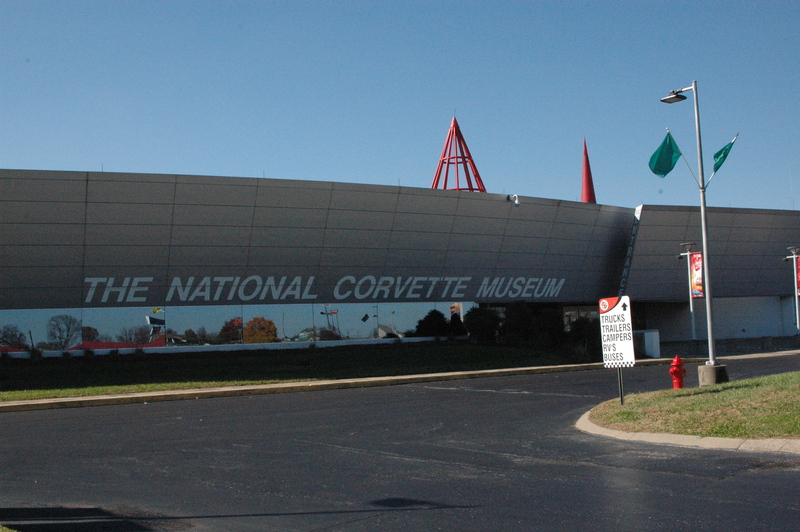 We visited the National Corvette Museum, as well as the assembly plant for the corvette, both in Bowling Green, KY. Tours for the GM plant just re-opened this fall. 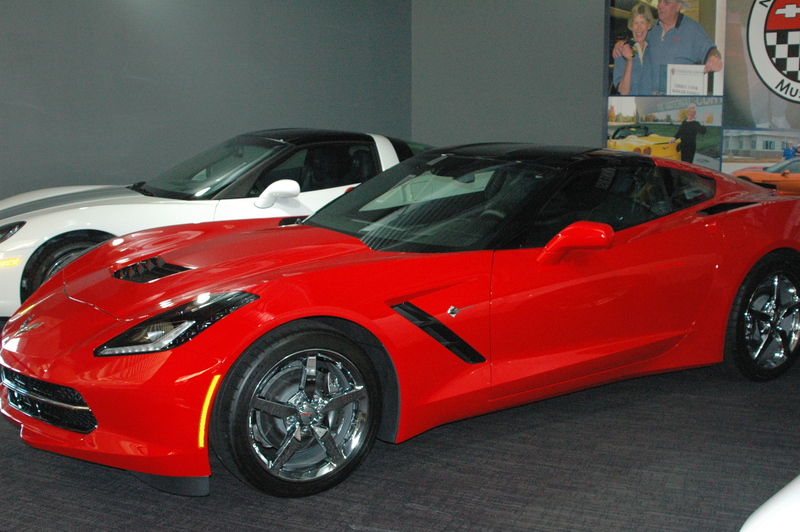 The 2014 Corvette is a completely new design, and is considered to be the 7th Generation of the Corvette. The engine is still built in Detroit, although they are developing an area of the plant that will include engine assembly next year. The underbody is aluminum instead of steel, and the hood is a carbon fiber material, which reduces the weight of the car. It has 505 horsepower with speeds up to 200 MPH. It will get 29 MPG on the highway, making it the most fuel-efficient of the sports cars. 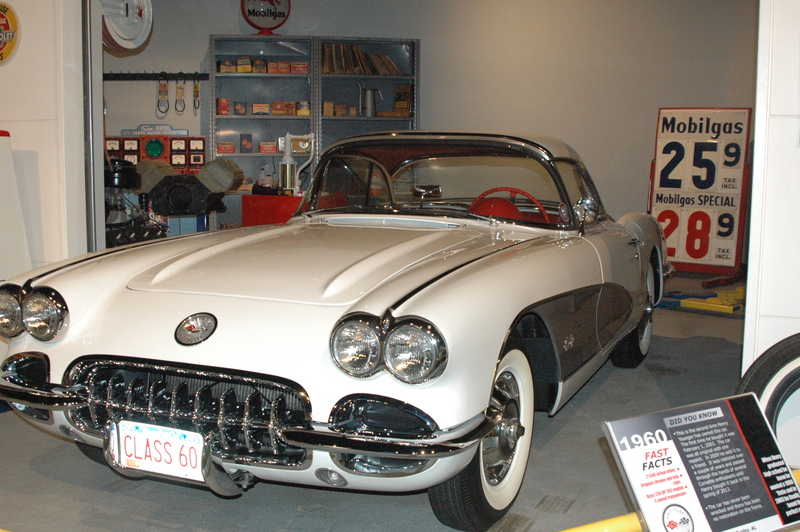 And the biggest change, it no longer has the “bubble” rear window that corvettes were known for. 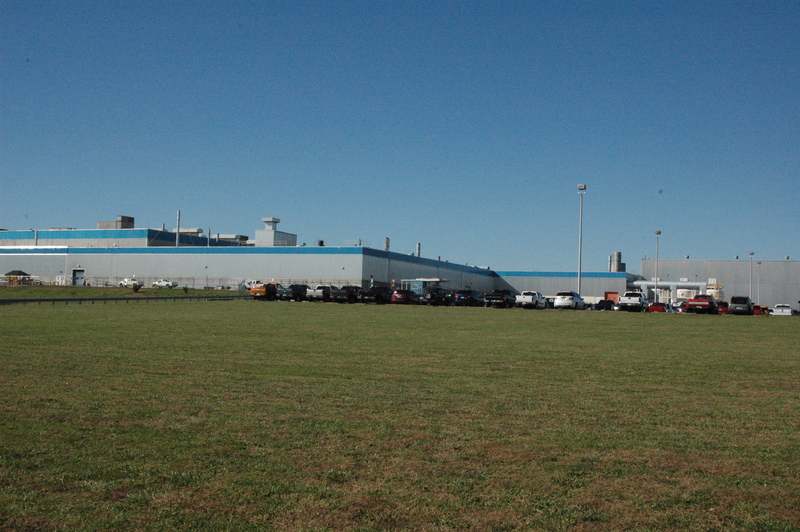 The plant tour costs $7.00, and no cameras are allowed inside. Robots assemble the underbody of the car, and everything else is done by humans. They can produce about 170 cars per day. It was a very interesting process watching a car being assembled. 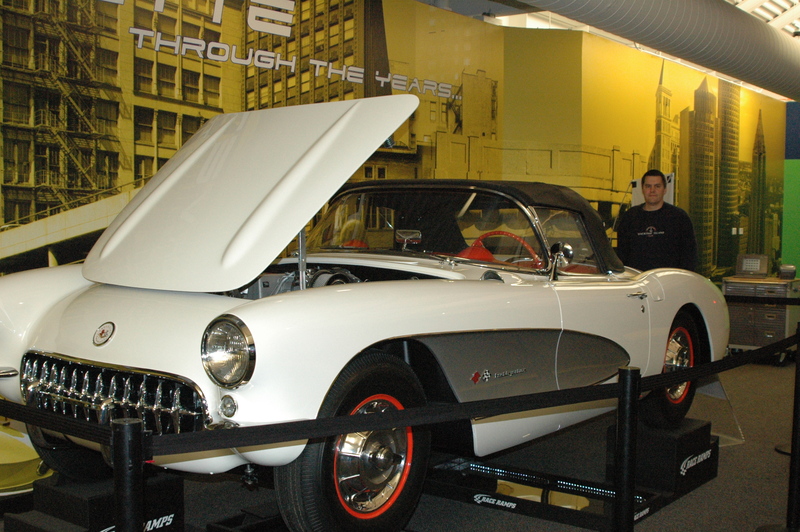 Corvette has many quality assurance checks during the process. We were both impressed by the tour, and would highly recommend it if you are in the area. 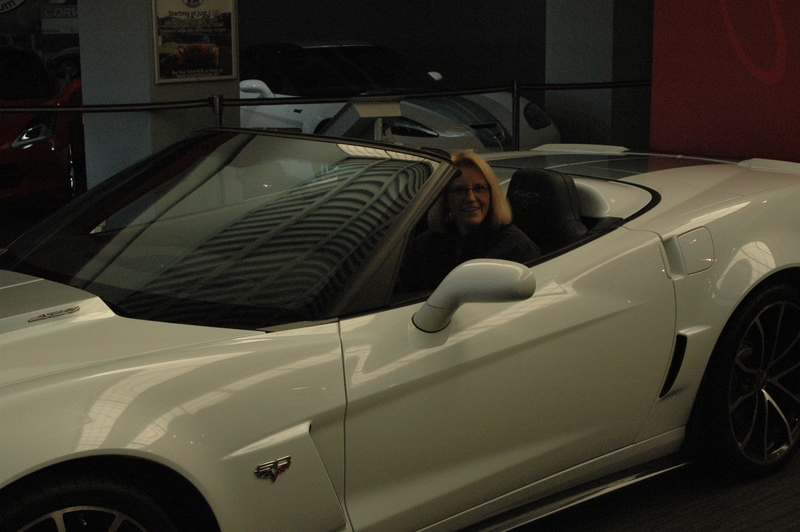 If you purchase a Corvette, you do have the option of picking it up at the museum. I would recommend that, as there are some perks the new owner receives. They are given a “baby book” of photos of the car as it travels through the assembly plant. And, the owner can go right on to the line at the end, and start their vehicle. They just can’t drive it out of the factory. 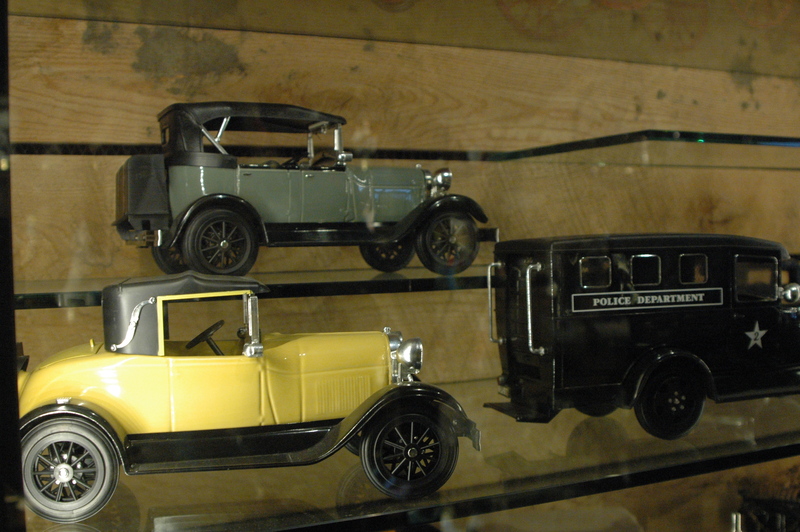 After the factory tour, we headed down the road to the museum. The museum costs $10.00 per person, but they had given us half-price coupons in our Amazon employee welcome package, so it was only $10 for both of us. 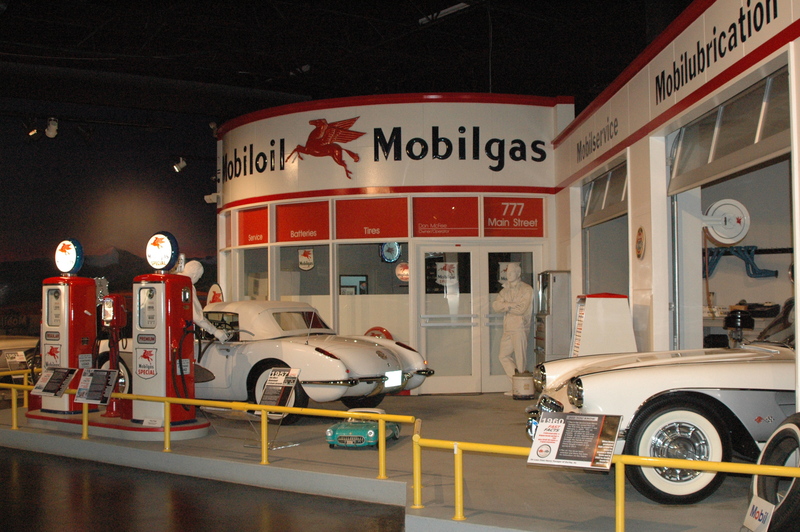 The museum starts out with displays on Corvette’s early history, and has a Mobil service station display with early Corvette’s. There are areas devoted to the racing teams, design and engineering. 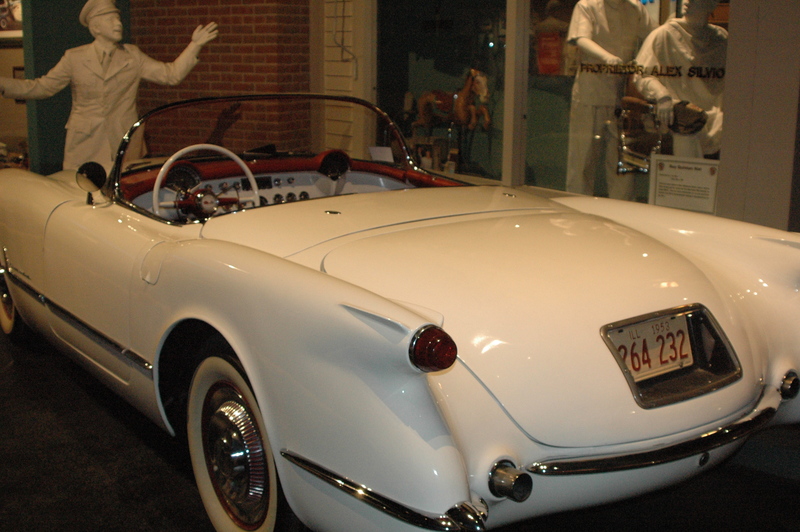 Another section has a large display of various models of Corvettes, including the only remaining Corvette that was built in 1983. 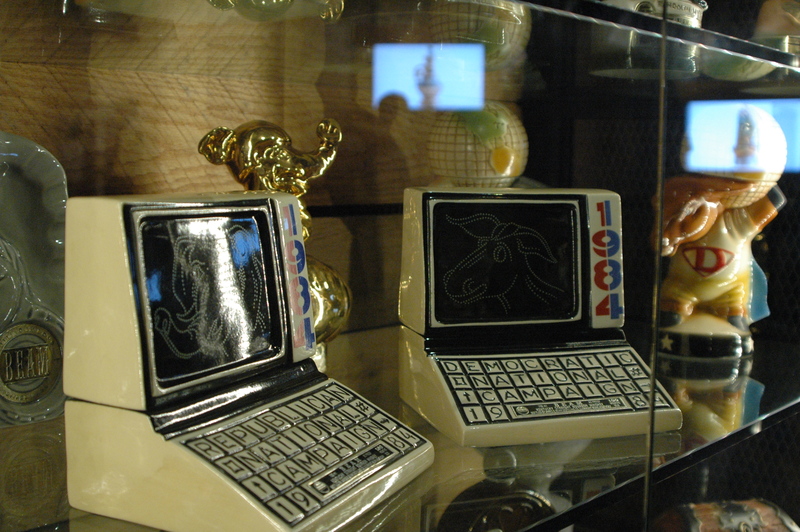 There is also an exhibit hall where they have special exhibits. Currently, it is on motorcycles. will they notice it missing? 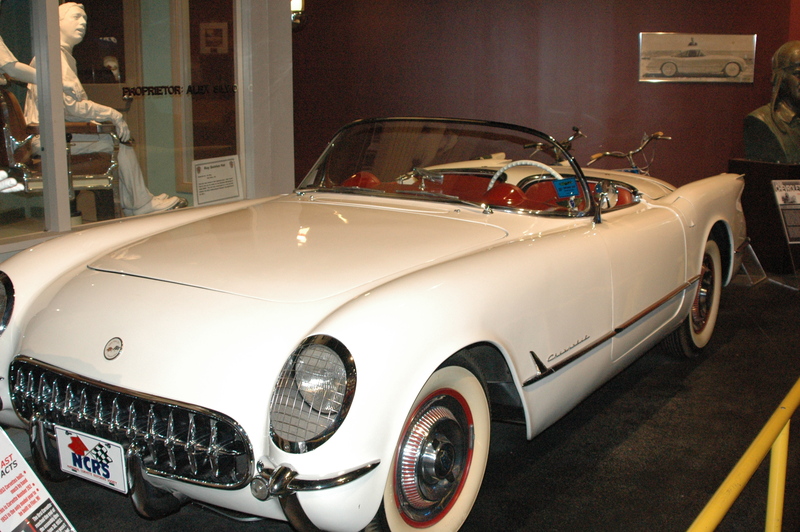 This is one of the first Corvette’s ever built, in 1953. It has a MSRP of $3,400.00. You could add a radio for $150! Mobil Gas station with 1960’s Corvettes. 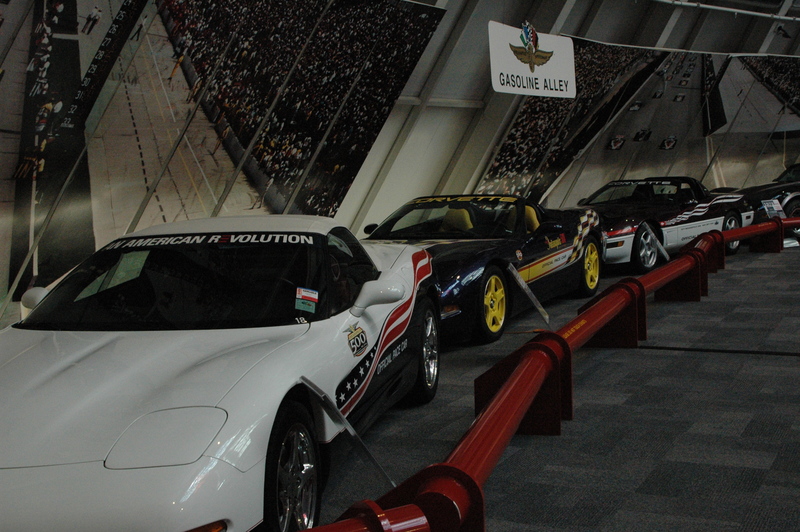 These are some of the Corvette’s that were the pace car at the Indianapolis 500 over the years. 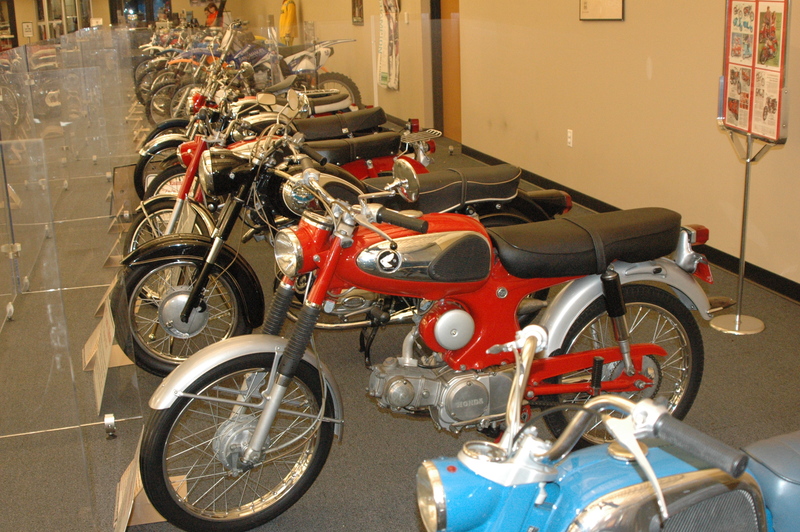 These are some of the early model motorcycles that were in the special exhibit area. 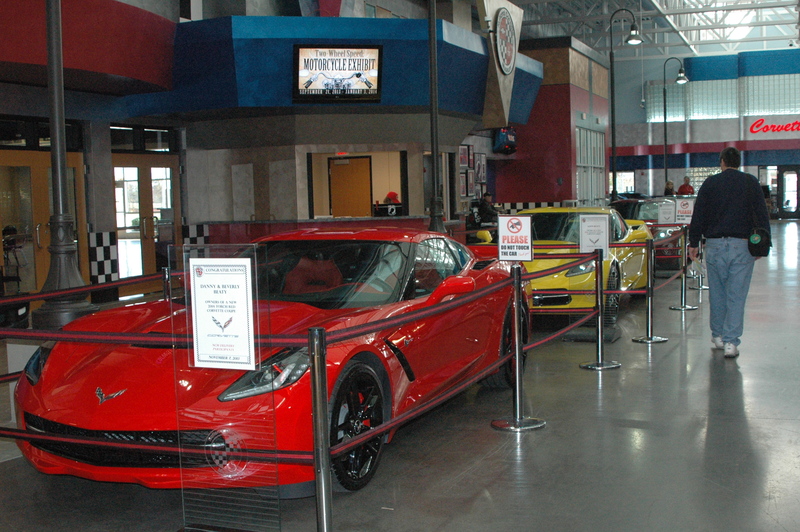 If you decide to pick up your new Corvette in Bowling Green, they have a special area in the museum to pick it up at. They really spend a lot of time going over the car with the owner, probably more so than you would get at a dealer. There were a lot of happy faces on the people picking up their new vehicles. The sticker price on these cars are around $77,000. 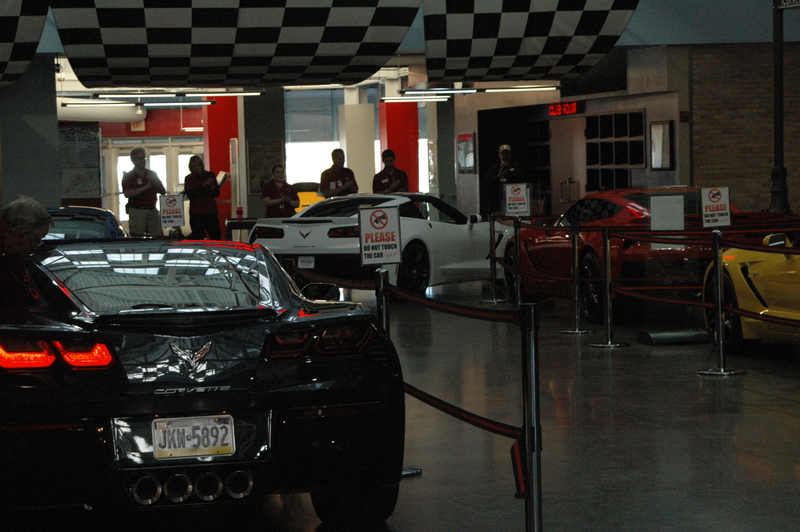 The owner then gets to drive the vehicle out of the museum, and all the employees come over to cheer them on. We both had our favorites. 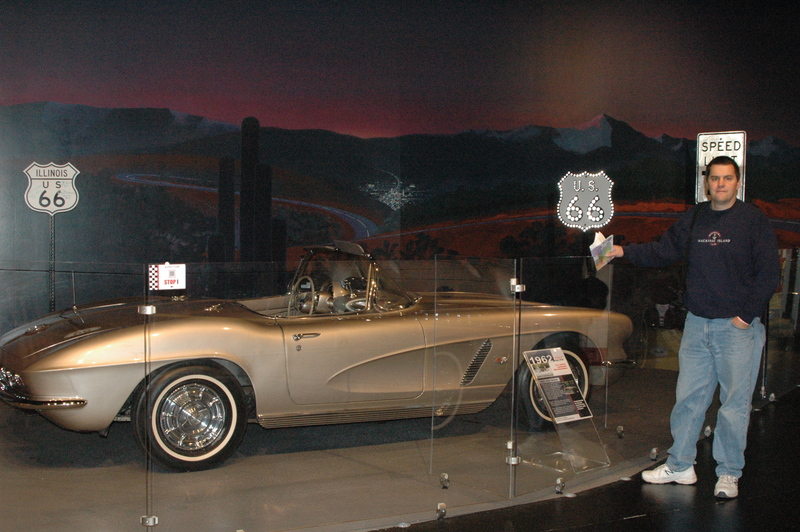 Dan loved the 1960’s Corvettes, made popular by the television show Route 66. I loved the 2014 model. But then reality kicks in…..
Wednesday turned out to be a pretty nice day, low 70’s, so we decided to complete the final to stops on the Kentucky Bourbon Trail. We started at Heavens Hill, in Bardstown, KY. We had been here before, so we did skip the tour, but got our passport stamped. Their visitors center has a lot of interesting information on the history of bourbon. 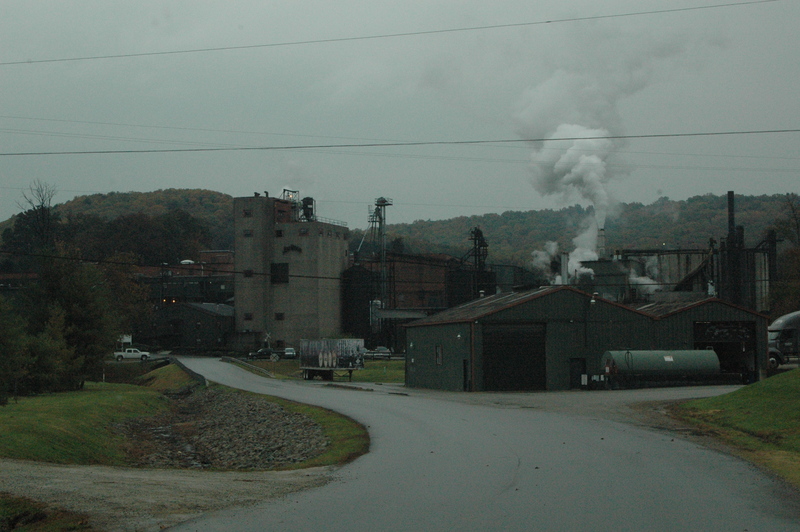 Heaven Hill had a huge fire several years ago that destroyed over a dozen warehouses. 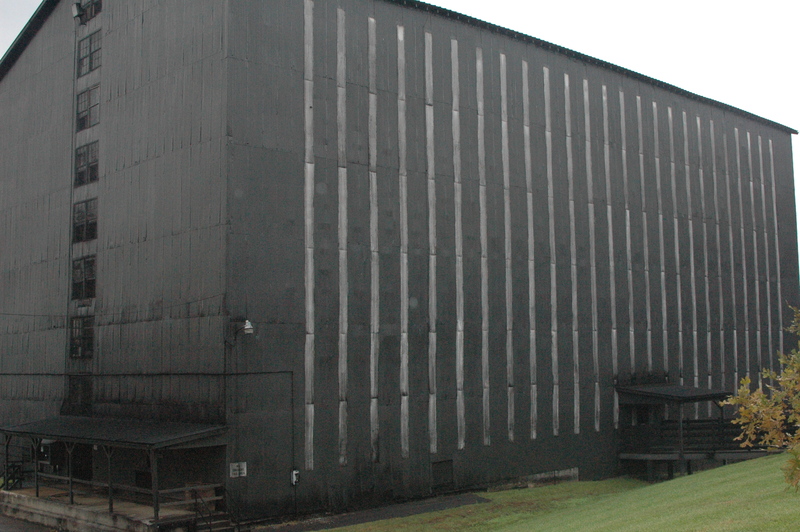 As with all the distillery’s, the warehouses are spaced pretty far apart, but once several thousand barrels of bourbon starts on fire, there isn’t much anyone can do to contain it. Below is an example of a copper pot that was used in the past by moonshiners. 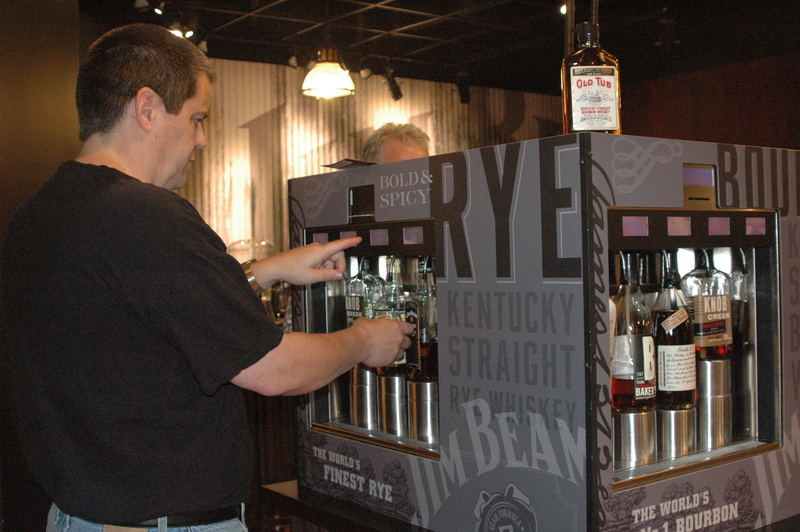 Heaven Hill has on display many historical photographs from the days of Prohibition. 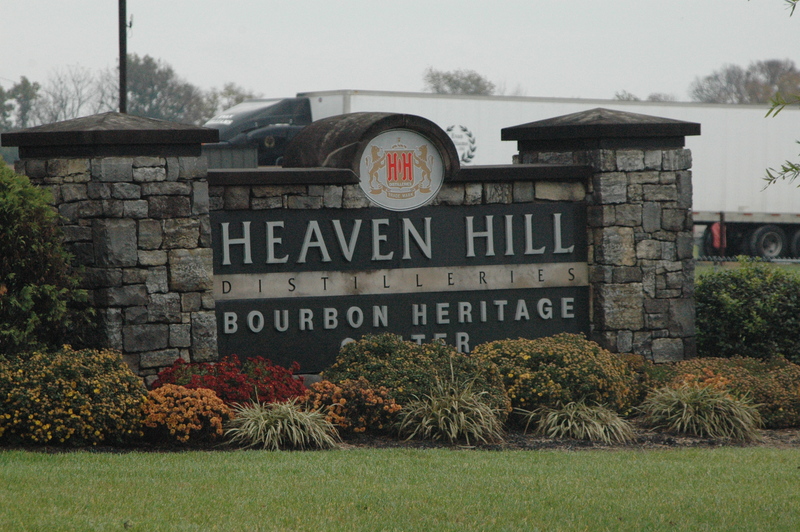 Heaven Hill was founded by William Heavenhill. It is believed that a typists error on the distillers permit put a space in between Heaven and hill, and the company could not afford the fee to have it corrected, so it was left as two words. 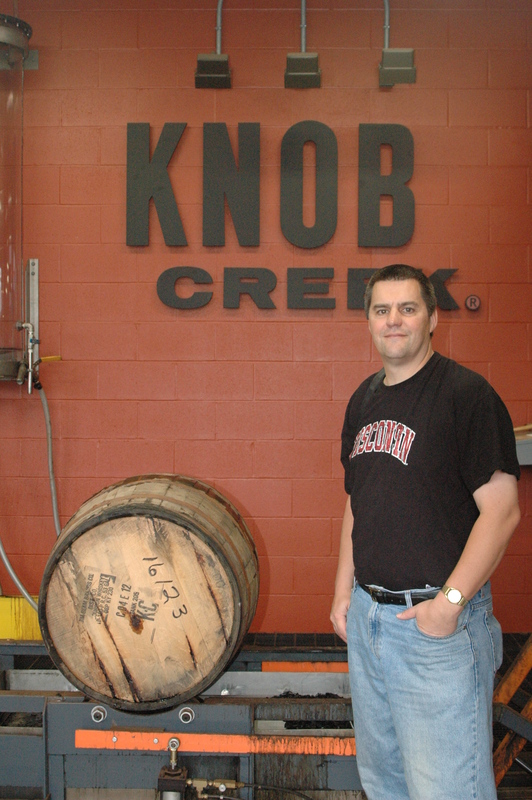 Their main brands of bourbon are Elijah Craig and Evan Williams. 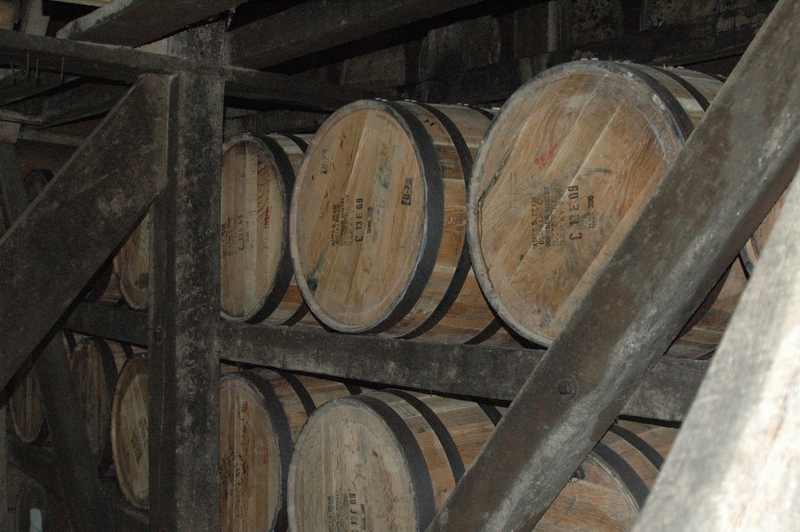 Elijah Craig is considered the “father” of bourbon, as he was a minister, and was the first person to char the barrels that the whiskey is placed in for aging. 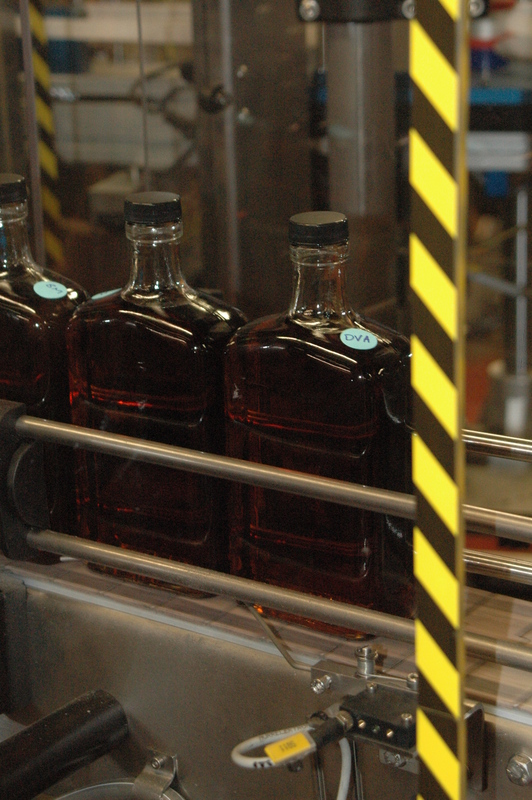 Evan Williams was Kentucky’s first commercial distiller, rolling out the first barrel in 1783. 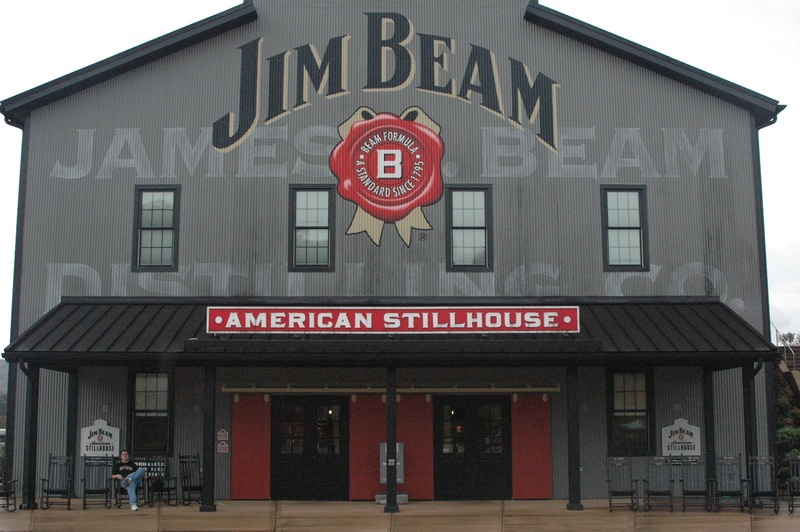 After Heaven Hill, we headed to our final stop on the tour, Jim Beam, in Clermont, KY. Beam is considered to be the number one bourbon distillery by volume. We had also done their tour last year, but they completely revamped it, and built a brand new visitors center for 2013, so we decided to go on their tour. At $10, it was the most expensive of the tours. They had to raise the price of their tour because so many people were stealing their tasting glasses, that they now give them as a “complimentary” gift! Also on our tour was a number of students from the national Future Farmers of America (FFA) convention that is going on in Louisville. You don’t have to be 21 to go on the tour, only to sample the product. It was good to see the students learning about the importance of the grains. After all, they could be the future farmers providing these important ingredients. The tour starts out by going over a small-scale example of a distillery, and then goes into the main plant to see their operations. 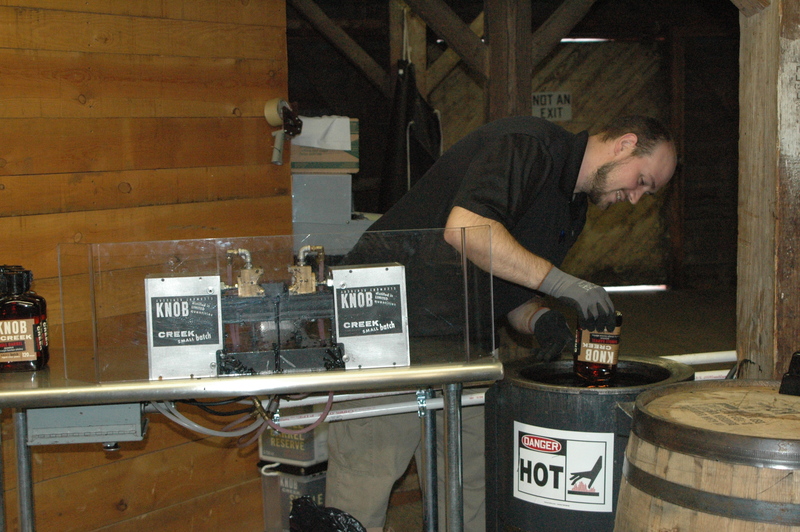 During the tour, visitors have an opportunity to fill a barrel, dump a barrel, and rinse out bottles. 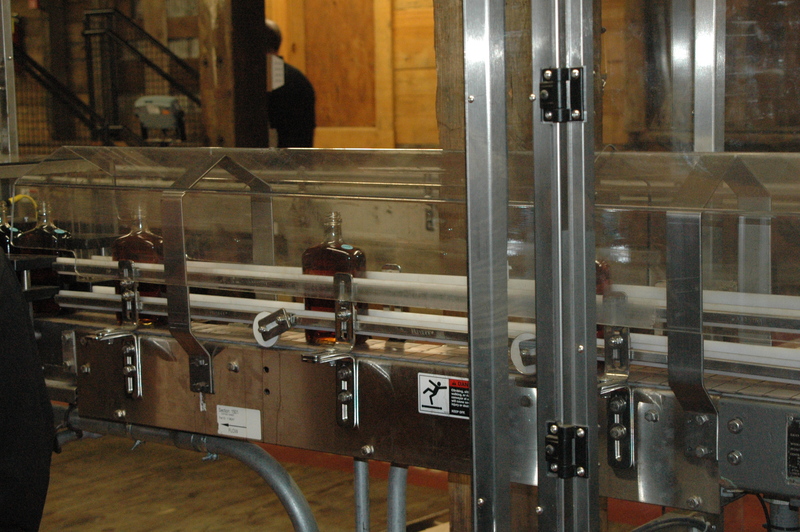 We were able to watch the bottling of the single batch of Knob Creek. 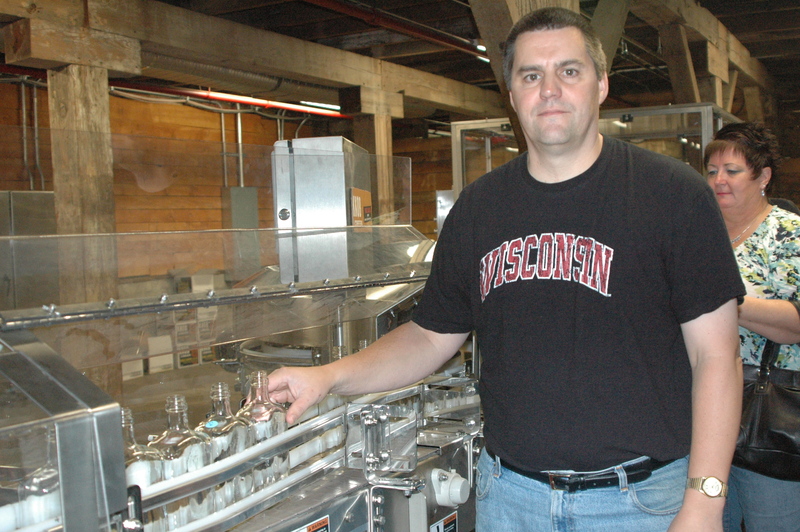 Dan participated in the rinsing of the bottles. The bottles are not rinsed with water, only bourbon. 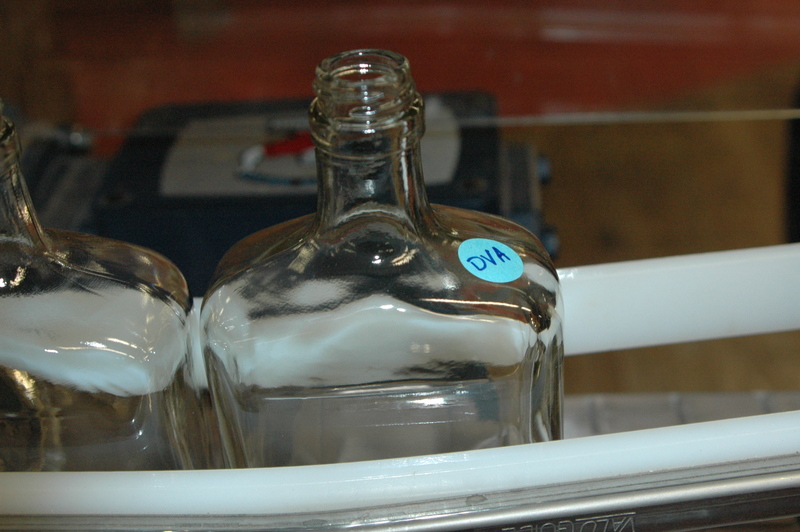 You could then put a sticker with your initials on the bottle, and follow it along during the filling, labeling and hand dipping of the bottles. They only hand dip the single batch bottles. Then they will engrave the bottle with today’s date. 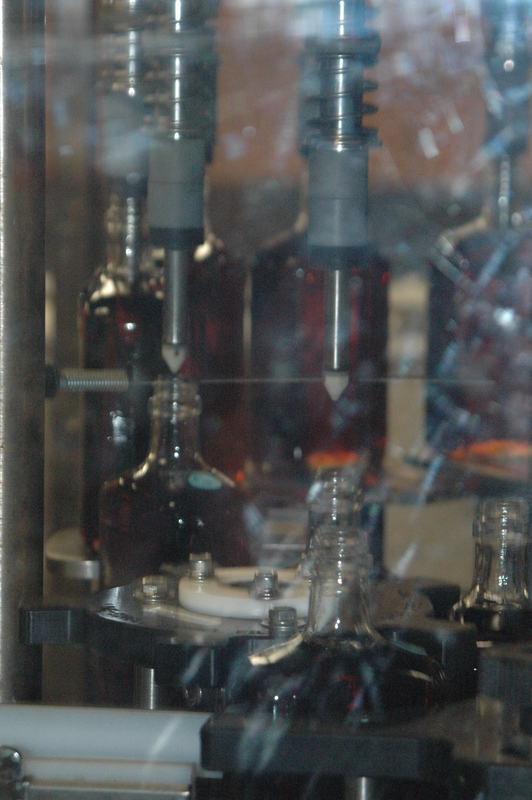 Follow along on our bottle’s journey…. 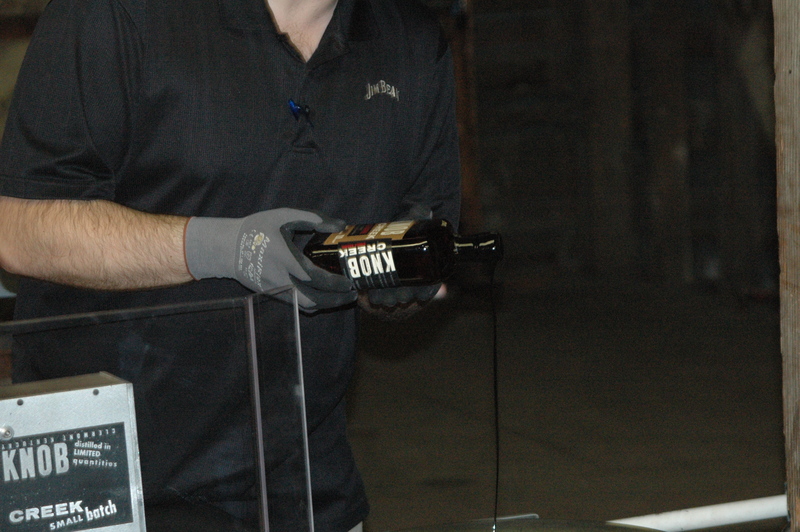 Unlike Makers Mark, they don’t let you dip your own bottles. 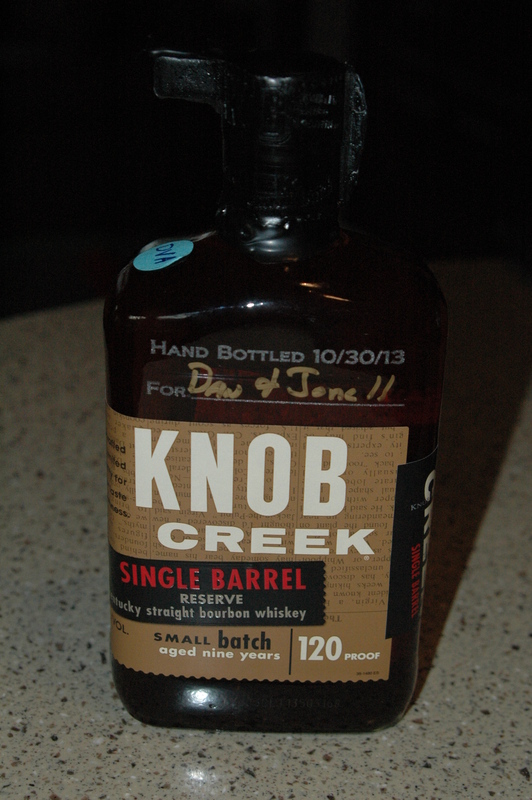 Now if anyone wants to join us in the “sampling”, come on down to Kentucky! We’ll be here until December 24th!. Continuing on with our tour, we went into one of the barrel warehouses. 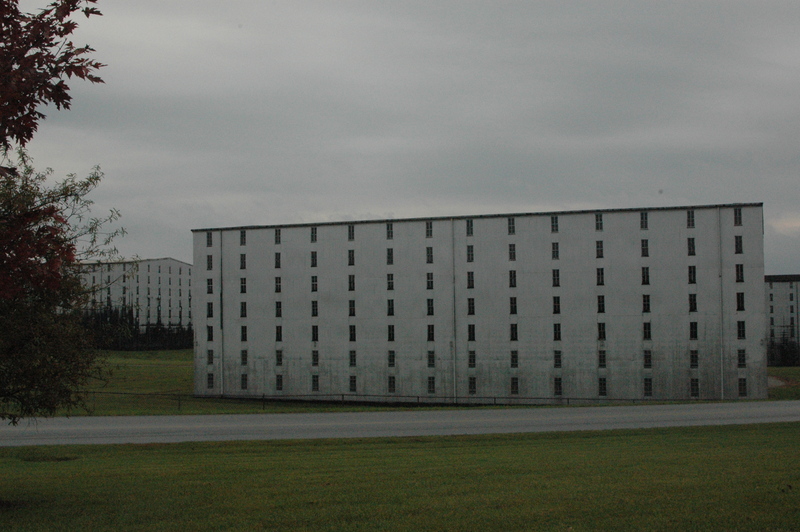 Jim Beam has two warehouses that sit on either side of a Baptist Church. 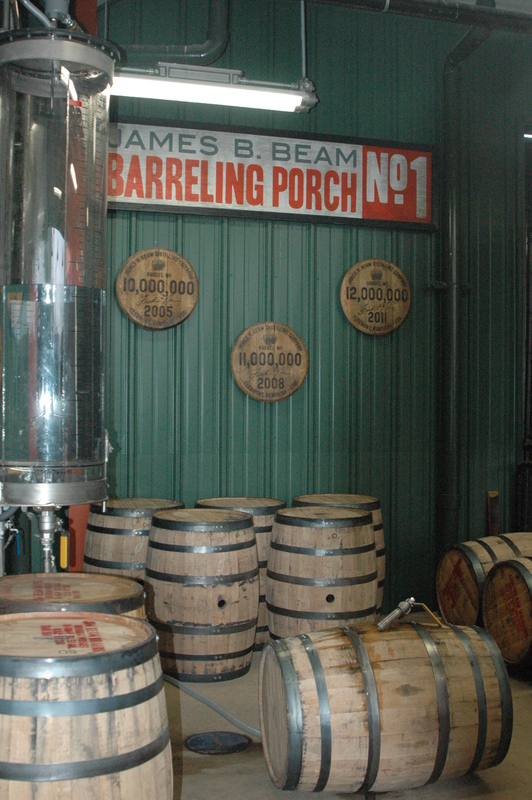 Jim Beam also has a huge display of souvenir containers that actually contained their bourbon and was given out as gift items. This is part of their copper pots. They have one above ground, and one below ground in a blast proof container. Final stop on the tour was the tasting room. They give you a plastic card that you insert into the machine below, and it dispenses two small samples of your choice. And now onto our favorites. We both enjoyed the Woodford Reserve the best, as a good sipping whiskey. 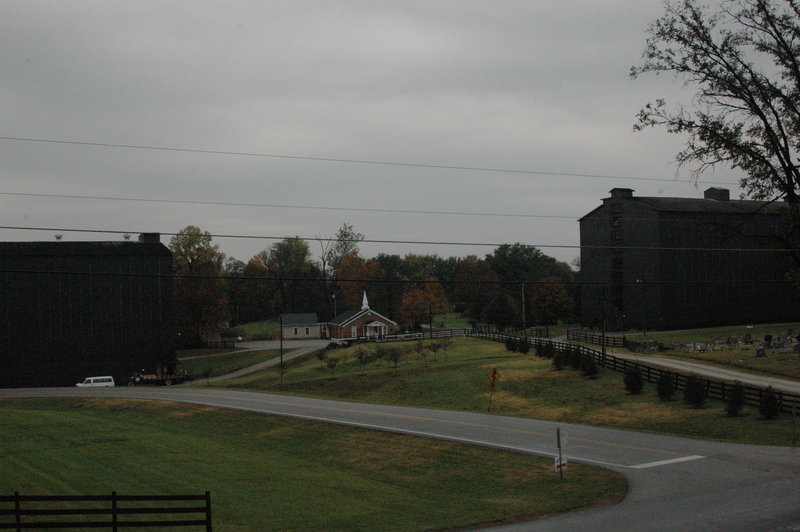 Makers Mark was also good, but the triple distilling at Woodford made their whiskey a bit smoother. The regular Jim Beam or the Four Roses yellow label would be good for all the recipes that call for bourbon in the ingredients. 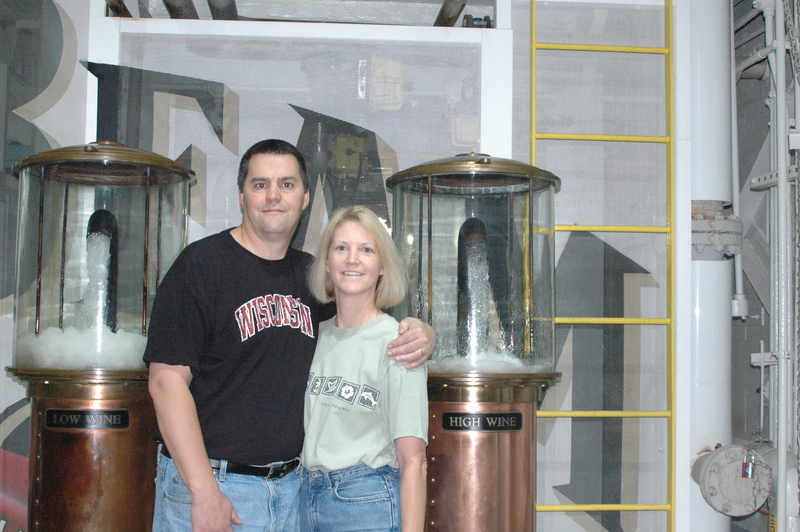 As far as tours goes, again we felt the Woodford Reserve tour was the best, followed by both Makers Mark and Jim Beam. 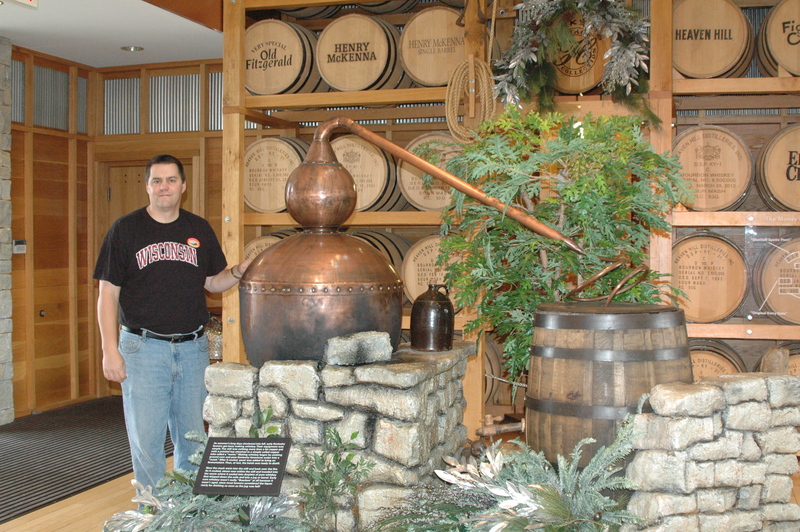 If you are in the Kentucky area for a week or so, the Bourbon Trail is a fun thing to do. 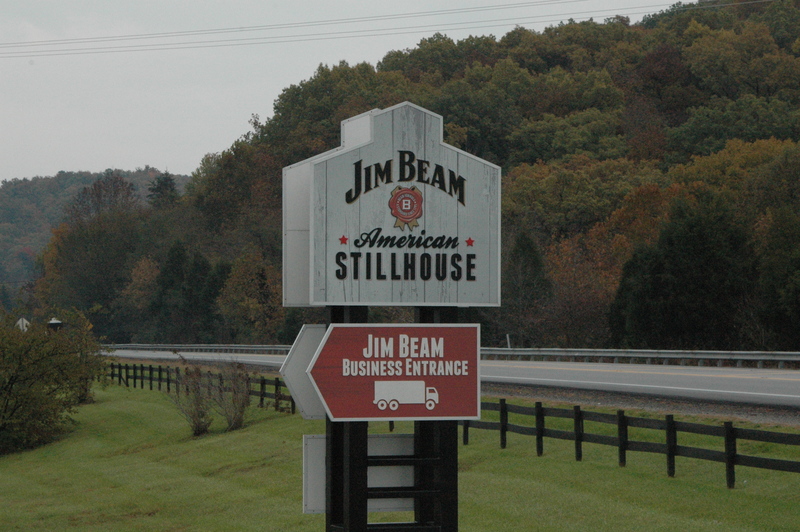 Except for two, the distillery’s are 20 – 50 miles apart, so this is not something that could be easily done in a weekend.